"Capital, Coercion, and Postcommunist States is a history of postcommunist Poland and Russia as seen through the lens of the state's struggle to extract revenue. Gerald M. Easter is the foremost expert on these developments, and he has crafted a fascinating narrative to carry his penetrating analysis of these countries' trajectories. This fabulous book is a must-read for political scientists, historians, and sociologists-in short, for anybody interested in the state." - Scott Gehlbach, University of Wisconsin-Madison, author of "Representation Through Taxation: Revenue, Politics, and Development in Postcommunist States"
The post-communist transitions are over. Across Eastern Europe, the transitions yielded much greater variety in political and economic institutional outcomes, than was first anticipated. While some post-communist countries reached consolidated democracy, others deviated into new forms of authoritarianism, and still others lingered in hybrid-regime limbo. Socialism's command economy was successfully dismantled, but unexpected and distorted forms of capitalism arose in its place, often of a thuggish character, more freebooter than free market. And, finally, the transitions gave rise to very different types of post-communist states, bearing little likeness to the ideal liberal state. Post-communist state building was unique in comparison with previous historical experience in that the flow of power resources ran from state to society, rather than in the opposite direction. The post-communist state was bequeathed a rich inheritance of coercive and economic resources. Thus, the big question was where would the new line be drawn that staked out claims to coercion and capital between state and society? Early scholarship on the post-communist transitions was strongly influenced by the underlying, and often unstated, neo-liberal assumption of societal autonomy from the state. But society could not achieve this condition until it was able to consolidate its own claims on power resources, independent from and protected from the state. Because of this, the particular ways in which coercion and capital were reconfigured, more than anything else, shaped post-communism's variant institutional outcomes. These outcomes, however, were not predetermined, they were the accumulated result of multiple contests between state and societal actors. And taxation was one of the principal arenas in which the battles over coercion and capital were fought, and ultimately resolved. "Socialism's command economy was successfully dismantled, but unexpected and distorted forms of capitalism arose in its place, often of a thuggish character, more freebooter than free market. [...] the transitions gave rise to very different types of post-communist states, bearing little likeness to the ideal liberal state. [...] the flow of power resources ran from state to society, rather than in the opposite direction. " By focusing on the challenge of building new tax systems, this book highlights the emergence of two different post-communist states: a "contractual" state, as exemplified by Poland, and a "predatory" state, as exemplified by Russia. In Poland, state-society boundaries over coercion and capital were clearly marked. Coercion was tamed. The state's coercive resources were largely depoliticized, and subordinated to institutional checks and civilian political control. As a result, capital was transformed. Economic resources were transformed into legally protected private property and new sources of entrepreneurial wealth were created. The state's new revenue claims on private wealth were recognized and legitimated. By contrast, in Russia, the boundary line between public and private, state and society was never clearly defined. Coercion remained in the service of politics, while civilian control and legal constraints were ineffective and weak. As a result, capital remained vulnerable to state predation. Some economic resources were transformed into private property, but the most valued assets were made into economic concessions, which the state never fully relinquished its claim to. The Russian state struck a schizophrenic pose(s) on the use of coercion. State leaders at times railed against overly zealous tax inspectors and brought charges against conspicuously corrupt collectors, but more often acted oblivious to such behavior. The boundary line staking out the limits of coercion was ever shifting, the state found it difficult to adhere to its own rules. "By focusing on the challenge of building new tax systems, this book highlights the emergence of two different post-communist states: a 'contractual' state, as exemplified by Poland, and a 'predatory' state, as exemplified by Russia." At the foundation of these different institutional outcomes, Poland and Russia erected very different systems of taxation. In Poland, capital was dispersed, and generated by commerce. The revenue base lacked reliable big income generating enterprises, although it did include an already established and growing private sector of small businesses. Poland developed a tax system based on "legalistic consent," a minimalist type of quasi-voluntary compliance. In principle, Polish society accepted its newly assigned status as taxpayers as well as the state's new revenue claims. In practice, however, Polish society tended to avoid complying in full and contrived a variety of tactics to reduce its tax burden. Polish taxpayers big and small readily took advantage of loopholes and legal checks on the state. As a result, the new targets of state tax collection - wage earners and petty capitalists - managed to hang on to a greater share of their wealth, while still paying something to the state. In Russia, capital was concentrated and generated by commodities. The revenue base lacked a developing small business private sector, but did contain very lucrative income sources in the energy and metallurgy export sectors. Russia developed a tax system based on "bureaucratic coercion," which in the words of the tax police chief meant simply: "People must learn to be afraid of us." Because wealth was concentrated, the state did not have to negotiate with the new economic and regional elites, but simply to threaten them with force. In the 2000s, the coercive and bureaucratic-administrative power resources of the state were often the most prominent feature of the revenue extraction process. The legal constraints on the power of state bureaucrats to encroach on society's wealth were vigorously enforced in Poland, but only selectively so in Russia. "[...] the emergence of civil society required autonomous bases of elite status, civic association and moral authority. 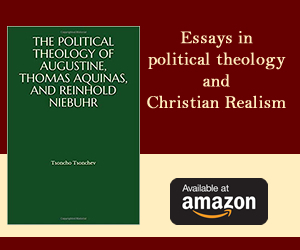 Taxation helped to enable Polish elites to maintain sources of wealth and status independent from the state, to bolster the capacity for self-organization of civic associations, and to reinforce the autonomy of the Church. But none of these developed in Russia." 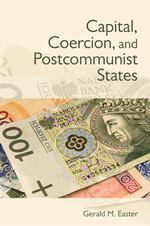 The diverse ways in which state coercion was used in the battles over societal capital in the building of new tax systems, the book argues, directly influenced the distinctive development of postcommunist economy and society in Poland and Russia. In Poland, the tax system contributed directly to consolidation of "social market capitalism," an economy that embraces both free markets and social protections. In Russia, the tax system led directly to the consolidation of "concessions capitalism," a two-tiered economy in which, on one level, the state continues to own the most lucrative economic assets and, on the other level, the state espouses private property and entrepreneurship. Finally, the emergence of civil society required autonomous bases of elite status, civic association and moral authority. Taxation helped to enable Polish elites to maintain sources of wealth and status independent from the state, to bolster the capacity for self-organization of civic associations, and to reinforce the autonomy of the Church. But none of these developed in Russia. Toward this end, the state used taxation to keep society weak. Most notably, the bureaucratic coercive tax regime undermined the institutions that would protect private wealth. As a result, Russia's post-communist elites remained dependent on the state, their roots in post-communist society were neither wide nor deep. The social bases of civil society simply did not exist. Gerald M. Easter is Associate Professor of Political Science at Boston College. He is the author of Reconstructing the State: Personal Networks and Elite Identity in Soviet Russia.